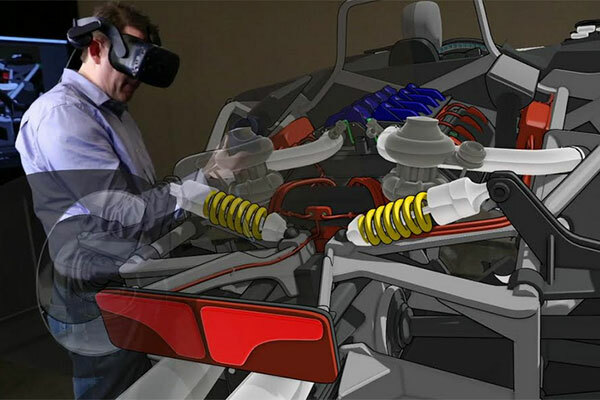 US automaker Ford is working with Gravity Sketch – a 3D virtual reality tool that enables designers to create more human-centric vehicle design. Designers trade in their sketchpads for a headset and controllers to become immersed in virtual reality, imitating gestural interactions through motion tracking that replicates sketching with pen and paper. Michael Smith, Ford design manager, said that seeing all angles of a vehicle as it is being drawn truly unleashes creativity and fosters development of human-centric design from start to finish.“Jumping right into 3D gives us a 360-degree view of a vehicle as it is being created,” he added. Across five global Ford design studios, dozens of interior and exterior designers are now experimenting with Gravity Sketch for workflow feasibility and its potential for real-time co-creation and collaboration. Shifting to a model that designs and evaluates in virtual reality could revolutionise the entire process by drastically reducing development time and allowing for more 3D representations in the evaluation stage.